I know what you are thinking... BOOM as in a Boom Town! Many victims of these crimes are already members of vulnerable or marginalized groups, including rural women, Indigenous populations, and young people. 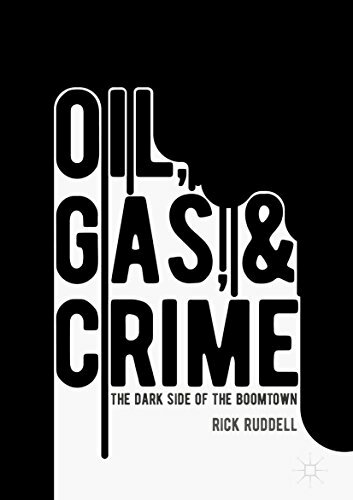 Oil, Gas, and Crime: The Dark Side of the Boomtown is the result of about a decade of interest from Ruddell.